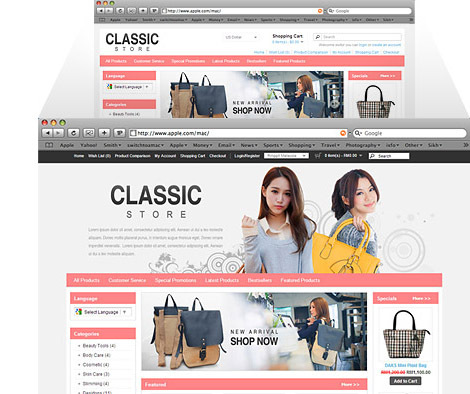 We understand there is no single template that able to fit all customer’s business nature and needs, hence we have multiple beautifully designed template in our eCommerce template gallery, ready for picking. Furthermore, each template will come with multiple styles/colours to ensure that each customer will be able to find their own preferred colour theme. We will not stop here though, and will continue add more templates from time to time. 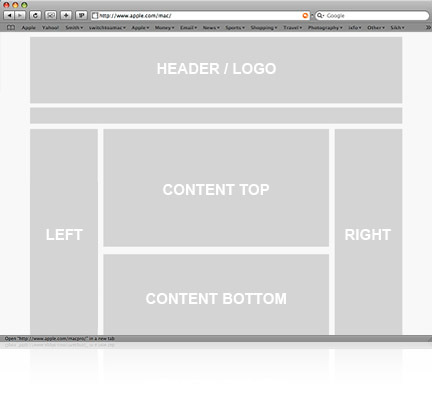 You might wish add in your own background to replace the default template’s background. 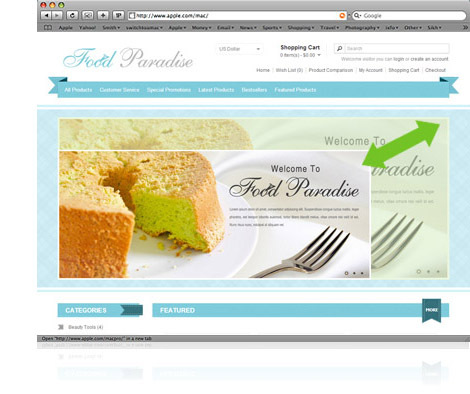 Each template contains two mode of website header – logo mode and header mode. 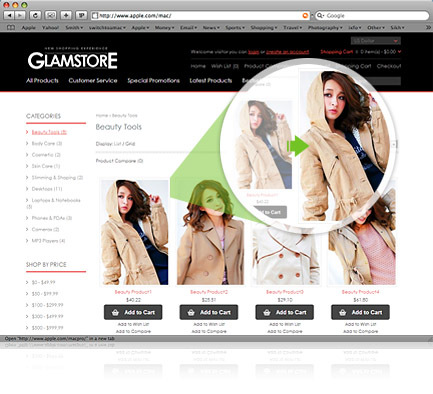 You can determine a product’s image thumbnail size, whether they are on the category page, product detail page, related product, featured product, latest product or even the product pop up image size. All are adjustable. You can add unlimited banners to front page slider, in any size you want. You determine each parent menu link as well as the drop-down menu. In other words, you can insert any link to menu system with no restriction. 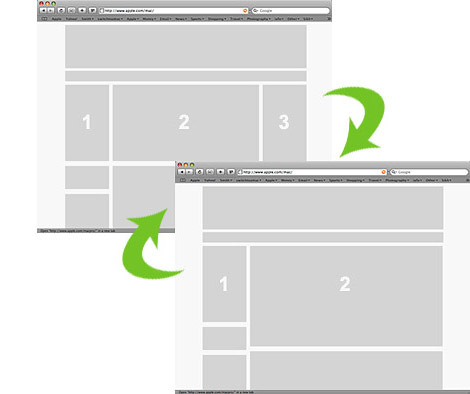 Each template page can be configured in 1 column, 2 columns or 3 columns layout. 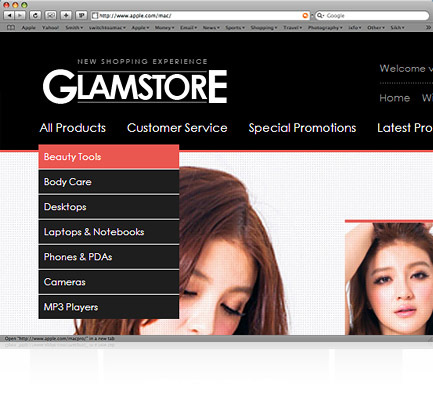 For example you can make home page layout in 1 column, category page in 3 column or product page in 2 columns. 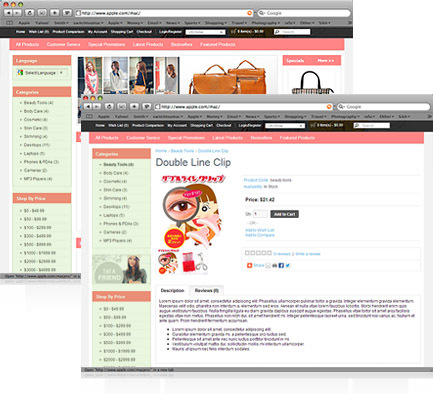 Each layout contains multiple positions – top, bottom, left and right, you can assign modules (category, featured products, latest products) in any position you like. 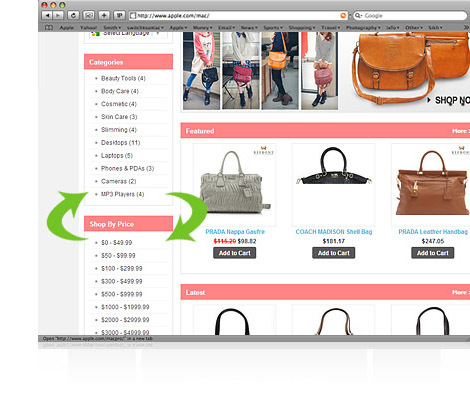 Multiple modules (category, featured products, latest products etc) can be assigned in the same position (top, bottom, left and right). You can determine the order of each module based on their priority. Each module can be assigned in any page you want. 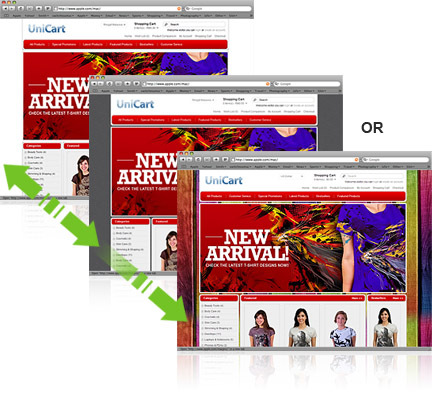 For example “category” module can be assigned to home page, category and product pages, you may decide not to show on information pages since it is irrelevant.